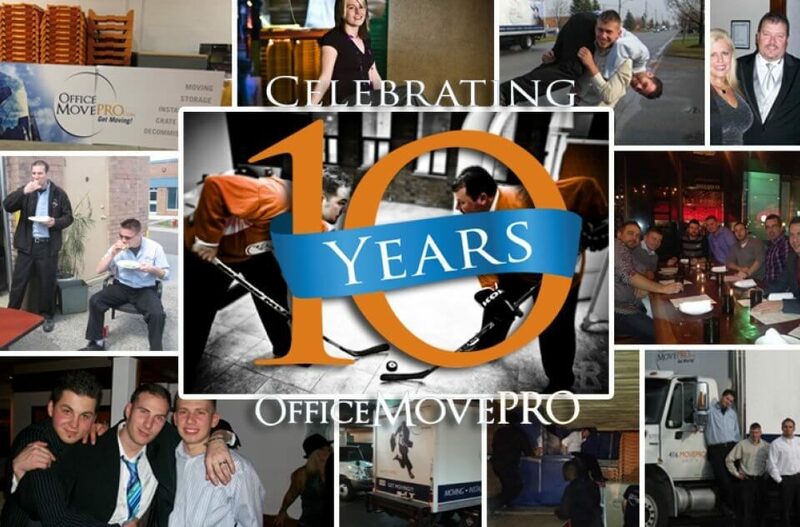 Leading national office mover, Office Move Pro marks its 10-year anniversary on April 1. The company will celebrate by opening a new location in Ottawa. The new location opens just on the heels of their second office in British Columbia (Victoria) last month. They also have plans to add office movers in Saskatoon and Regina by June 1. Hence a total of ten Office Move Pro locations in 2015. We’ve always challenged the status-quo, whether it’s with leading edge equipment, proprietary technology or our employee training programs. We’ve truly set a new bar for professionalism in office moving. In addition to pioneering innovative technologies, Office Move Pro has been at the fore of greening the industry. In 2008 the company launched ENVIROMOVE, a unique green moving program to help businesses reduce landfill waste. Recent years’ ENVIROMOVE clients include companies like RBC, TELUS and the City of Brampton. Hundreds of offices and companies across Canada rely on Office Move Pro to manage their move. From space planning and furniture installation to moving and storage, we are a full-service moving company.